Thank you, Danny Iny (@DannyIny on Twitter), for linking to my blog so I would see your guest post on Danny Brown’s excellent Social Marketing blog about Commenting Communities. (Follow @DannyBrown on Twitter.) Danny Iny offers a Marketing Training program on his Firepole Marketing Blog. I look at every incoming link and when they are of high quality – and especially when they are on a blog I read regularly – I will usually want to contribute to the discussion and share that post across social networks. What those of us who love CommentLuv and regularly comment on each others’ blogs (at least when we can make the time) do and what this post suggests are vastly different. We do not “require” anyone to comment anywhere. We simply have blogs we regularly read and share and when we have something to contribute we comment. What we have are informal COLLABORATING communities. When I talk of collaborating what I mean is that bloggers should be aware of other quality bloggers in their own niche, join in discussions that are pertinent to their experience, and then share those posts and discussions with those they interact with on social media. that mandate who has to comment where and how often. we have something relevant to contribute. I do not believe we need to create fire-walled communities. I DO believe niche blogging communities are growing in importance. I encourage bloggers to read what people such as Heather Stephens (@StephensHeather on Twitter) who has extensive experience to share regarding commenting tribes. The primary difference between what we do and what most tribes and groups require is the REQUIRING part. We do what we can do as much as we can when we can and we don’t worry about whether others are or are not “doing their fair share”. I understand the desire to make sure others are contributing; I just do not feel a need to control what others are doing. Do you REALLY want to kick out your best collaborators because they are too busy to ALWAYS do x, y or z but when the are more available they are wonderful? Life gets in the way. Many are dealing with health issues and emergencies – their own and others – and the frequency of those is going to continue to escalate. and sharing those specific blogs. Up until now, most bloggers’ audiences have been other bloggers and they have written about how to blog, how to use social media, how to monetize your blog, affiliate marketing strategies and so on. Now what bloggers need to do is take the skills they have collectively learned and apply those to creating a better world. IMHO, the best way to do that is to create a group blog for a specific geographic area that targets a specific very large niche but does not exclude other topics. and encompasses so many small businesses. Chicago Home Improvement – a Chicago paper had a great blog on this but today even after multiple searches I can not find it. I’ll add it when I do. Bloggers need to be aware of how people find what they need to buy. 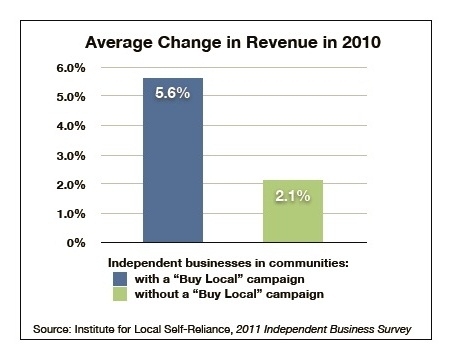 Those who live in small towns buy some things local and generally travel to the closest large city to buy other things. The target audience of small businesses around you is NOT just the people in that large city – it is all the people for whom that is the closest place to physically shop. I am also encouraging bloggers to create blogs for their communities. and create new ones wherever we are. They will be key to improving the quality of life and ensuring adequate healthy food is available for those who live in each area. 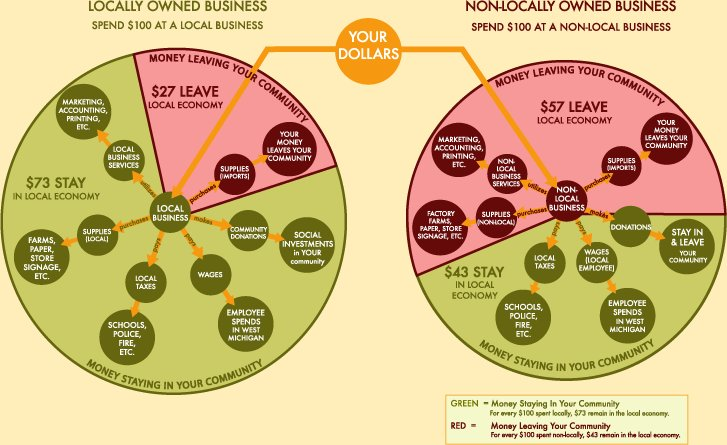 I want to leave you with this infographic that clearly illustrates a point I’ve been trying to get across to everyone I interact with: When you buy local you keep money and prosperity circulating for everyone versus having that money hoarded by the few offshore. which includes corporate big box stores. As we strengthen our local communities and encourage small businesses to source more of what they sell closer to home even more prosperity will stay and support local giving and public services – making your city and county one of the few not having a fiscal meltdown. Read more about how creating Group Geo-Targeted Niche Blogs positions your blog where the money is so that by supporting your local businesses and communities you can also make an income you can live on. Are you a local business? Find out how GrowMap can assist you. Local communities support the collabrating. Its a nice work. Thanks for share this such a usefl information. Jac Evans would love you to read ..Should You Buy Solar Deck Lights? Supporting the local business community is an essential and fulfilling act that every business owner must come to terms with. Not only can future clients come from this bond, but it’s supportive of the local economy. I’m really intrigue in those what you call tribes. Though I have not seen any of them yet neither I have met anyone who’s a member of a tribe. I know the qualifications to join one but unfortunately I don’t have any of them. I like the idea about creating a blog about small communities. It is always inspirational to support small communities and be part on the improvement of the quality of life in the area. I think that makes blogging even more fun to do. thanks for your valuable advise, i would stick to it and yea i understand it was not a good idea to use Forum Posting Service as anchor text because it makes my comment looks more spammed and it eats up the useful part of it. You hit the main reason I have not yet joined any “tribes”. As many know by now, I have some (sometimes seriously) limiting personal/health issues. This is actually the reason I have not joined any yet, including yours. Dennis Edell@ Direct Sales Marketing would love you to read..100 Down Thousands to Go! Too late. 🙂 We lost ours when Murray’s blogs got hacked and confirmed yesterday that the database full of awesome content is NOT at his new hosting company. If I can figure out who the old host was I’m going to see if they still have it. In the case of that group the first change I made was to eliminate commitments and requirements. The very best people are the busiest and many of them have health challenges. Why not accept what they can do when they can do it and not put stress and limitations on them? That is my philosophy. I don’t know….I’m still trying to figure out how localized blogs will be beneficial. I am new at this, but….really? I read the article, and read all the comments….but, seems to me it would be a little safer to keep the blogging community exactly where it lies, ( internet community only). If the blogging community is international, and open for everyone to leave a post. Thanks for including me in your discussion over here! 🙂 I love your idea of creating a local blogging community. That sounds like a ton of fun as well as a great way to boost our local economy. Many of the people in our community right now started off as readers of my blog, wanting to learn and improve their blogging and have gotten involved with the tribe so they could get more support and help each other. No one is there who didn’t ask to be there, and anyone who decides it isn’t right for them is free to move on. The downside: It’s a commitment and you may find yourself friends with a blog owner you might not have connected with otherwise. I relate it to being part of a sports team in middle school or high school. Chances are you weren’t in the same social circle with everyone on your team, and a few of them you’d never have a friendship with them outside of your team, but because you were on the team, you had a commitment to help each other be their best. You looked out for each other and cheered each other on. This is the same thing, only for bloggers not athletes. Thanks Gail for the mention! I’m looking forward to getting to know you better. Always glad to link to any blogger willing to teach what they’ve learned and serve as a role model for others. The way your group got started is how most of us came to know each other – on the quest for learning. Now we can take that learning and improve the world! Thanks for dropping by and taking the time to comment. I’m all in with everything you’re doing – the only difference is I don’t worry about the commitment part. That works better for some people but not as well for me. I intentionally spread myself around to reach an ever growing circle of blogging communities and find because of what I am called to do I can not keep the specific commitments and accomplish everything else that needs doing. For those who are less busy and less motivated, specific goals to be accomplished can be very useful. The concepts work – the key is refining them for maximum benefits. For most bloggers that will mean growing communities around a specific location or topic and focusing their efforts in groups more related to what they are doing themselves. Informal collaborating communities do, ultimately, make the most sense. Why would you want to feel forced to comment on another blogger’s blog? And you definitely wouldn’t want another blogger to feel forced to comment on yours. When someone feels forced to comment, you can tell right off the bat from what they write. I think the old saying, ‘What goes around, comes around’ definitely holds true in this context. If you make well-thought-out, intelligent comments on other sites, those bloggers will eventually ‘return the favor’ and leave you a comment. They do to me and for others who are extremely well-connected and busy. Some people don’t accomplish much because they are not motivated or don’t know what to do or how to prioritize, but those who are very productive need to avoid making commitments they are not going to be able to meet on a regular basis. I was recently reminded of this when a group I joined turned out to be totally different than what I expected. I need to meet my commitment this week and withdraw so I can continue to do what is most important each day. When we have an important calling it is unwise to make commitments that cut into our sleep and time to recharge. Stress is never good for us and although many swear by goals and timetables I do not believe they are a healthy way to live. I tell people I operate on G.S.T. (God’s Special Time) so I can do what I am called to do each minute as it happens. What choices others will make affect what that priorities there are for me to act on. I like this concept a Lot!. How do I find bloggers in my area? You become the very best blogger ABOUT your area and they will find you. I might have misunderstood the guest post, but my impression was that it was talking about a comment swapping sort of arrangement – did I misunderstand? 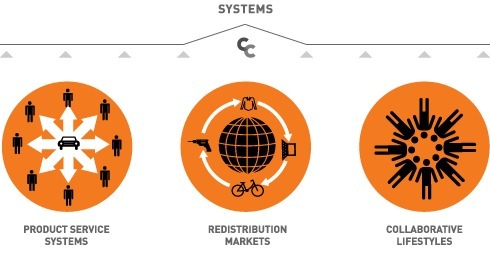 I really like what you’re saying about the geographical niche based communities – I think a big part of the challenges of organizing something like this is having a meaningful way of organizing these micro-communities, and I think this might be a great way to do it. Honestly, I had not been asked to participate in any of the formal comment swapping practices you came across. I discussed them with Kristi Hines @Kikolani yesterday because she HAS and we both feel the same way about them – we don’t recommend them. While it may APPEAR that CommentLuv loving bloggers do that because you see the same commentators in so many blogs, what has really happened is that we follow featured posts from blog to blog identifying other bloggers with ethics most similar to our own. They end up being our favorite blogs to read – and since we’re reading them we also comment and share them. That leads to sharing our readers with each other so as any one involved blog grows so do the others. I take it a step further and actively seek out like-minded bloggers to collaborate with each other. You can see lists of them in my KeywordLuv post and even more targeted in my Small Business Advice post. I regularly encourage other bloggers to join us and connect bloggers in one niche with bloggers in another. The key to the best collaborations is WHO you collaborate with and deciding where your time is best invested. I am blessed to know some really awesome bloggers and identify more to add all the time! growmap would love you to read ..Guest Blogging Invitation Hiring Writers Ask Me! commenting is my essential task in daily routine because with this habit i got new tips and explore my thoughts. I don’t understand why people keeps on spamming others blog if they don’t have anything useful to share. its kinda dying for a do follow link which is unethical. all blog masters welcome comments but, no one wants useless comments on their blogs. as the OP said in the above blog post “When we comment or link it should be because we have something relevant to contribute.” i totally agree with this. The problem is the definition of “useful to share”. That varies wildly from blogger to blogger. Your comment is a good example. You DID have something useful to say (at least I think you did), but using anchor text of Forum Posting Service will get your comment deleted in most blogs because they think commenting for links IS spamming. Unlike me, they do not understand the importance of marketing and link building for EVERY business and blog. I wrote more about that in the post I’ll put in CommentLuv in this reply. I am working on a local area community around Greenville, Texas.d That is the county seat of the county I live in, Hunt, and the closest place to buy many things. Otherwise, I drive to Dallas for them. Are you doing that on your existing blog or another? We should brainstorm some ideas and work together to cover the Dallas Metro area because both your local area and the small town I’m featuring are both part of that larger area too. Like you, they have to travel to Dallas to buy whatever is not available locally which is more than most would suspect. I think it is both when people want to comment and people who find a blog should come because they want to comment but I will not make a blog post just to bait another blog in hopes to get some kind of link! Sorry, Paul, you lost me. Although sometimes bloggers do link to each other in hopes of getting links, most of the time we link to other posts related to what we are writing about that we feel will interest our readers. I’m pretty sure Danny didn’t include a link to a guest post here to get me to link to him and I know I didn’t. Sometimes what I want to convey is so long that it is better to turn it into a blog post rather than leave such a long comment – especially if I don’t regularly comment in that blog and don’t have already have a strong relationship with that blogger. I’ve been trying to get more local – starting with the farmer’s market and getting to know more bloggers in AZ. Always fun to chat with people online that you know you might actually get to meet one day! Also, totally agree on the not joining a formal system for the commenting. I think thing are much better if people are coming to your site and commenting because they want to, not because they feel forced to. That is wonderful news. You just reminded me that I need to be on the lookout for Farmer’s Markets as it IS that time of year again. After giving it a lot of thought I’ve decided it makes sense to just do a Local Section on our primary blogs. If we cover current events, our favorite businesses, and interesting sites and happenings we can attract more local readers and still keep things interesting for our worldwide readers as well. I’m thinking we should have a separate RSS feed for the local information so our readers have a choice of which information they see. I’ll have to find someone who knows how to do that. I’m hoping someone may see this comment and volunteer the information. Andy might be able to help with that.